Casual traditional styling creates the look of the Cornelia Collection. The seating group is offered in dark gray fabric, for neutral complement to your home's decor. Nailhead trim along with rolled arms lend to the soft traditional style. 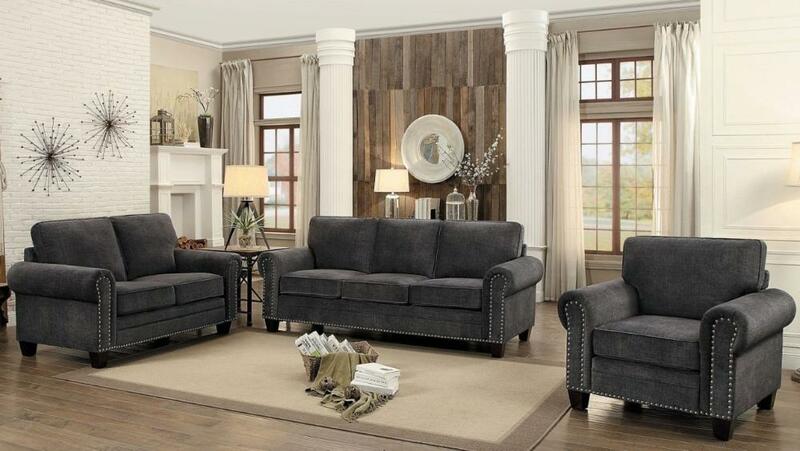 FEATURES: Dark Gray Color ~ Traditional Style ~ 100% Polyester Fabric Cover ~ Nailhead / Rolled Arms Accents ~ Wood Legs.